A Time To Shop | Our Picks for the Top Tennis and Golf Clubs in Ft. Lauderdale! beautiful outdoors. Both sports are also incredibly social, granting you ample chance to make friends on the court that could easily thrive off the court as well! Interested? Here are a few of our picks for the best clubs to join to get involved. The Diplomat, also known by its full name, The Diplomat Golf and Tennis Club, offers a slew of unique opportunities, as well as a gorgeous venue lined by palm trees and sparkling rivers. Experienced players will be able to enjoy The Diplomat’s flexible reservation hours, which span all day and all night and can be set up either via telephone or the club’s official website. Beginners and novices will also find plenty to enjoy from this gorgeous club. In fact, beginners of all ages are welcome! The Diplomat offers classes to help newcomers learn all about the game of golf, as well as a summer class for children known as “The First Tee Program.” Golfers of all experience levels will also be able to enjoy the club’s wide expanse of courses, as well as reasonably-priced rental services, a gift shop and much more! History buffs may find quite a bit of appeal in the Fort Lauderdale Country Club because it’s one of the city’s oldest country clubs. Specifically, the club has existed since 1926. 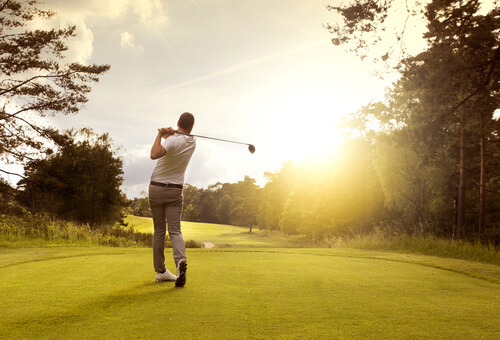 While the club has a vast array of activities and lavish spaces, its golf courses are truly one of a kind. The country club has two of them, both modeled after typical landscapes present within northeastern states. They are also tailored to being extremely enjoyable to play on thanks to careful design and maintenance. Fort Lauderdale Country Club offers classes to golfers of all experience levels, as well as summer camp activities for younger members and specialized clinics. The club even hosts its own in-house tournaments for those who are really interested in showing off their skills! Like the others on this list, Coral Ridge Country Club is geared toward offering a wide variety of experiences. It also caters to fans of both tennis and golf. Coral Ridge offers a vast amount of space for both sports, its golf course spanning 18 holes and its tennis courts totaling up to 11. Newbies will be able to enjoy lessons, while more experienced players can take part in tournaments, as well as general group play in the name of good fun. We hope no matter which club you pick, you’ll be able to find a relaxing and pleasant environment through which you can indulge in your favorite pastime to the fullest. Be sure to visit our blog for other ways to enjoy leisure and life in Ft. Lauderdale!